Custom designed backdrop rentals by Beyond Elegance. 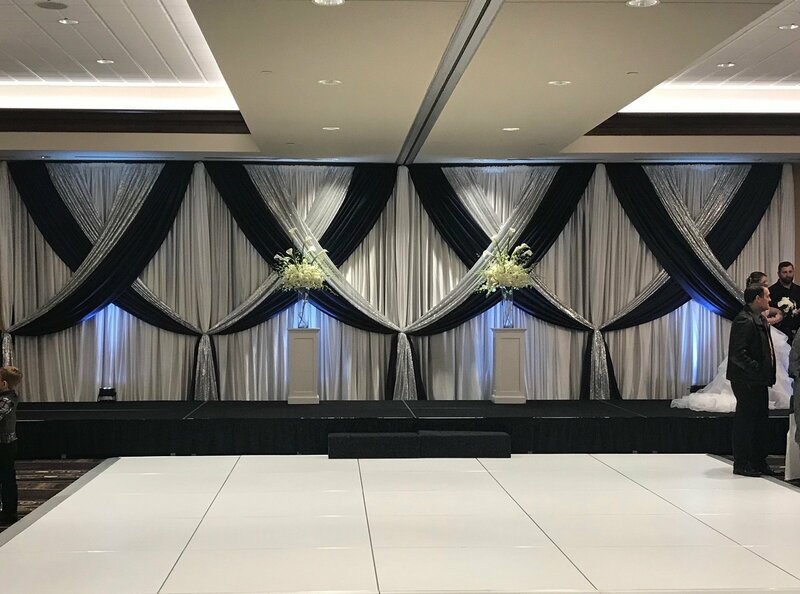 This particular design was created with navy satin and silver glitz swags draped over a white sateen backdrop and accented with led uplights. Call today for pricing and to reserve for your wedding.